All in one, online private placements platform making capital raising simple. Join over 85 global firms that revolutionized the way they do business with Katipult's White Label Investment Management & Crowdfunding platform. 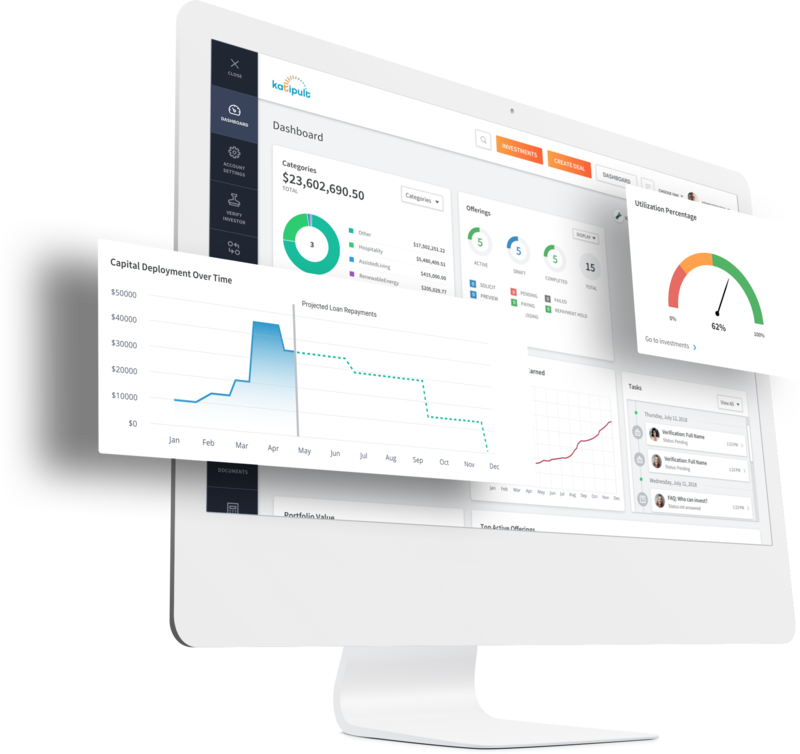 "Katipult’s easy to use software allowed us to quickly get to market and launch a working platform to begin raising capital and managing investors. We really enjoyed working with their team because they knew what pain points exist in the industry and they solved them really well." "Thanks to Katipult, we are now one of the main equity crowdfunding platforms in Italy. Katipult's state of the art software allowed us to grow significantly in terms of deal flow and investors. Our users often praise our platform, most of that merit goes to Katipult. We are very proud to have them as our closest partner." "At Rodeo Capital Inc. we value innovation and know that the strength of a platform is not limited by its technological features but by the team behind it. Therefore we seek to work with young and energetic people with their sights on the future that can provide us with a competitive edge."